“We’ve been growing in New York, year after year” since establishing a small sales office locally, Google’s Paul Darrah told John Banks, Real Estate Board of New York president. From those modest beginnings, the Silicon Valley tech giant has grown its East Coast presence exponentially, largely through buying up its own real estate. The company made Manhattan’s largest post-recession office buy when it acquired 111 Eighth Ave. for $1.77 billion in late 2010. In 2018, it again set the year’s high-water mark when it bought Chelsea Market for $2.4 billion. Now, through its commitments to lease 1.7 million square feet across three properties in Hudson Square, Google has found the vehicle to double its Manhattan headcount from a current level of about 7,000 employees. “Hudson Square and Chelsea will become our Google New York campus,” said Darrah, the firm’s director of real estate, during a one-on-one interview with Banks at a REBNY event. It’s not only in Silicon Valley and the Big Apple that Google is scaling up. The company announced earlier this year that it would spend $13 billion to bolster its real estate portfolio nationwide. In implementing those plans, the company is on the front lines of “the war for talent” among tech-sector employees, said Darrah. In markets such as Austin and Chicago, it’s chasing the same pool of qualified workers that other tech firms are after. Naturally, those competing employers may include Amazon, which last month scrapped plans for a New York City campus due largely to political opposition. Darrah didn’t explicitly compare Amazon’s New York experience with Google’s, yet he noted that one reason that his company has succeeded in growing here is community engagement. 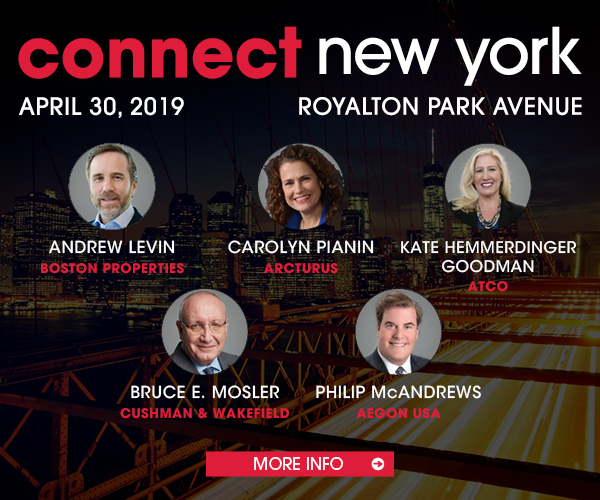 Hear from the experts on the city’s tech sector at Connect New York, coming up on April 30. Click here to register for the event.